On Friday a mysterious man driving a red polo left smiles on petrol attendants faces after he drove in and started handing out money to them at BP Midland Motors in Ladysmith. In the video that was captured by a CCTV of the petrol station, a red polo can be seen driving in to the petrol station and stopping next to a group of petrol attendants. The driver starts talking to them, then he starts handing them money before driving off. Good Things Guy also reported on the encounter and said that a source by the name of Bronwen Harrison told them that the man gave each petrol attendant hundred rand which left them speechless but extremely grateful for the man’s generosity. 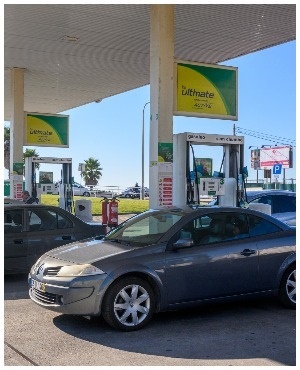 After the manager of the fuel station, Alan Smith found out about the good deed he quickly went back to look for the CCTV footage and recorded the encounter and shared it on social media. This shows that not all VW drivers are bad.